Most people re-entering society want a chance to start over but are unsure where to start. So, when times get hard, housing is unstable and jobs are hard to come by, many formerly incarcerated persons feel drawn toward poor choices and criminal activity to make ends meet. Holistic reentry programs are an essential resource in breaking the cycle of poverty for many families in the Mid-South and across the U.S. because they help eliminate the hurdles that cause people to return to crime. Through collaborative partnerships, like Hope 2 Hire, participants receive the tools they need to rebuild their lives. How do these programs work? Through Hope 2 Hire, participants receive pre- and post-release support, including work readiness training, financial management, cognitive behavioral interventions and counseling services. Hope 2 Hire also helps individuals earn their HiSET diploma and other essential credentials they need to succeed upon release. Post-release participants receive a HopeWorks case management specialist, who works alongside the Memphis and Shelby County Office of Reentry to help find transitional housing, meet health care needs, connect people with mental health services, and assist in the job application, interview and placement process. How do these programs prevent crime? 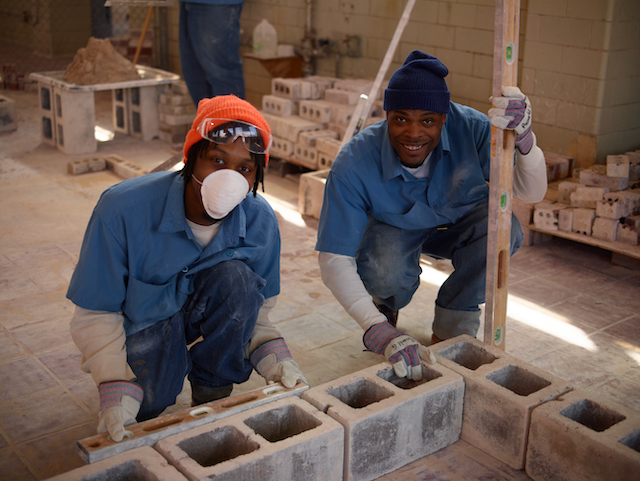 Because of the resources these programs offer, recidivism rates are drastically reduced. Recidivism rates are simply the rate at which formerly incarcerated persons return to prison. When a person who leaves prison has a smooth and supportive transition, it is easier to make rehabilitative life choices, turning away from crime and bad decisions that landed them in prison in the first place. Therefore, programs that make it easier for those reentering society to have a second chance at a better life impact not only the person reentering society but also their families and communities at large. If you or someone you know is interested in learning more about HopeWorks’ programs and what we can do to help, contact us at 901-396-8800.